Snrky: Do you tell teammates that's nacho story? Do you tell teammates that's nacho story? Update: dang it. I had a note to use the title "We reverse vote using a box of crackers." That's much funnier. 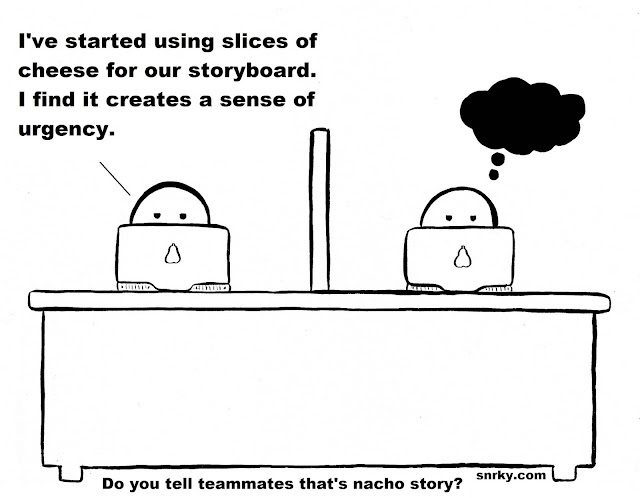 Snarky: I've started using slices of cheese for our storyboard. I find it creates a sense of urgency. Title: Do you tell teammates that's nacho story?